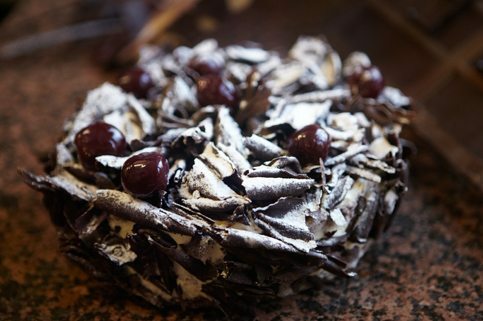 Black Forest Cake – A traditional version of this classic chocolate sponge with kirsch, sour cherries and cream. The liqueur may be left out for children’s orders. A traditional version of this classic chocolate sponge with kirsch, sour cherries and cream. The liqueur may be left out for children’s orders. Be the first to review “Black Forest” Click here to cancel reply.